Orissa, now known as Odisha, is an ancient land with a rich history. Monuments that reflect amazing architecture compete with the limitless beauty of the land to attract tourists from all parts of the world. The ancient temples are more than an association with religious beliefs; their architectural splendor reflects the skills possessed by the artisans of the land in the bygone era. Here are the top 10 attractions in Orissa. Famous for: Temples, Heritage, Cuisine. 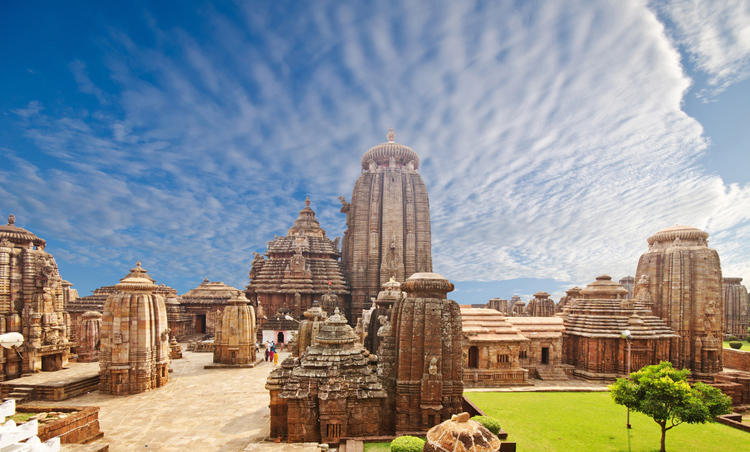 Temple city of India – This is how Bhubaneswar, the capital of Orissa is famously called. The land, which is over 2500 years old, is a blend of ancient monuments and modern constructions. 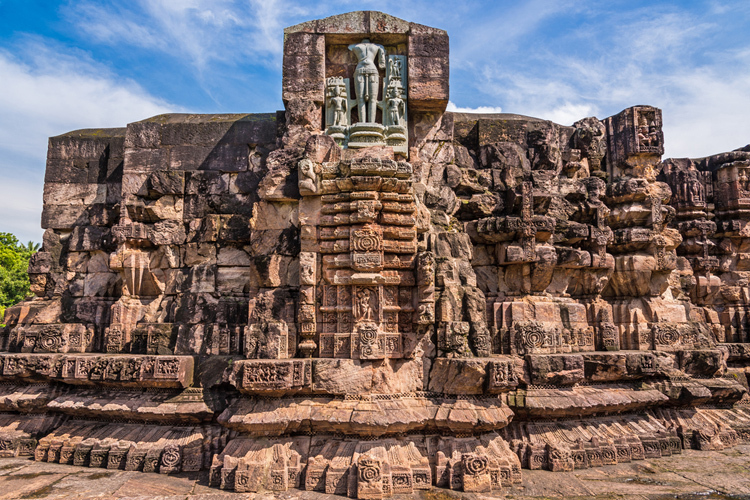 It is believed that Bhubaneswar had over 2000 temples in the past. Many of them were destroyed by Muslim invaders, but thankfully, a few important ones like Lingaraja temple still stand. The temples are built in Kalinga style of architecture which is unique to Odisha. Bhubaneshwar also has some buddhist sites, due to the influence of Ashoka the great, who embraced Buddhism here after The Kalinga War. Biju Patnaik International Airport in the city is connected to all the major domestic terminals. Internationally, it has flights to Malaysia. Bhubaneswar railway station (BBS) is one of the main and busiest railway stations in India and therefore it is connected from most of the cities of India. Take an auto, cab or a bus from the station to any part of the city. Odisha State Road Transport Corporation (OSRTC) runs interstate, inter and intra city buses regularly from Bhubaneshwar. Buses run regularly to and fro all cities of Odisha and also from the neighbouring states of West Bengal, Chattisgarh, Andhra Pradesh and Jharkhand. Famous for: History, Heritage, Culture. Former capital of Orissa and now it’s business capital, Cuttack, is also one of the ancient cities of the state. Ancient monuments apart, Cuttack has a wide range of tourist attractions as it is home to picturesque destinations and pilgrim centers. It is famous for handicrafts and cuisines too. Biju Patnaik International Airport is the nearest airport about 28 kms away and is connected to all the major domestic terminals. Cuttack Junction railway station (CTC) in the city is connected to most of the cities in India. Take an auto, cab or a bus from the station to any part of the city. Odisha State Road Transport Corporation (OSRTC) runs interstate, inter and intra city buses regularly from Cuttack. Buses run regularly to and fro all cities of Odisha and also from the neighbouring states of West Bengal, Chattisgarh, Andhra Pradesh and Jharkhand. Famous for: Heritage, Culture, Textiles, Dance, Music . Nearby Places: Rourkela, Raigarh, Jharsuguda. Swami Vivekananda Airport, Raipur is the nearest airport about 262 km kms away and is connected to all the major domestic terminals. Sambalpur Junction railway station (SBP) in the city is connected to most of the cities in India. Take an auto, cab or a bus from the station to any part of the city. Odisha State Road Transport Corporation (OSRTC) runs interstate, inter and intra city buses regularly from Sambalpur. Buses run regularly to and fro all cities of Odisha and also from the neighbouring states of West Bengal, Chattisgarh, Andhra Pradesh and Jharkhand. Famous for: Lord Jagannath, Beach. 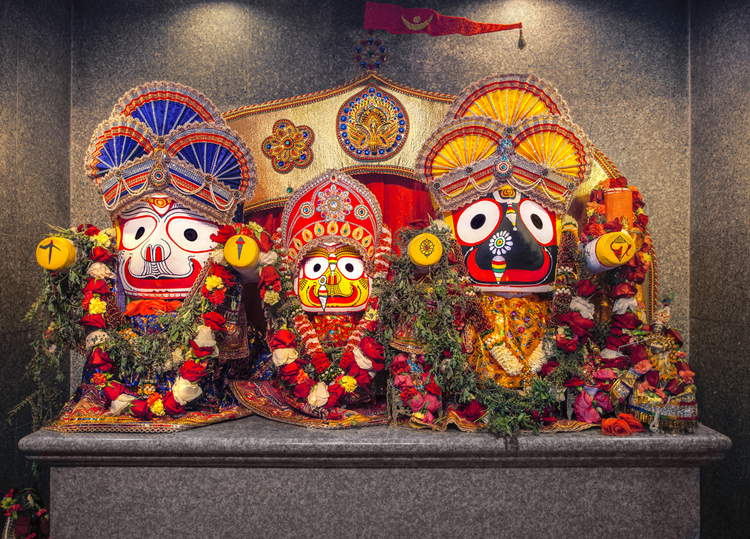 Major Attraction: Puri Jagannath Temple. Ideal Visit Time: Less than 1 day. For those with a particular religious faith, Puri might bring to mind the famous Jagannath Temple and the Sun Temple. For nature lovers, the beautiful beaches in the land may hold attraction. The vibrant land is famous for many festivals being a temple-rich place and it enjoys heavy footprints from all parts of the world. Biju Patnaik International Airport is the nearest airport about 1 hr 16 min (66.9 km) away and is connected to all the major domestic terminals. Puri railway station (PURI) in the city is connected to most of the cities in India. Take an auto, cab or a bus from the station to any part of the city. This station is among the top 100 most booked stations in India, therefore be sure to book your tickets well in advance. Odisha State Road Transport Corporation (OSRTC) runs interstate, inter and intra city buses regularly from Puri. Buses run regularly to and fro all cities of Odisha and also from the neighbouring states of West Bengal, Chattisgarh, Andhra Pradesh and Jharkhand. Famous for: Heritage, Steel Plant, Hills, Nature. Major Attractions: Hanuman Vatika, Khandadhar Falls. Nearby Places: Sambalpur, Raigarh, Jharsuguda. Rourkela, the second largest city in Orissa, is immediately recalled at the mention of steel plants. Home to largest steel plants in India, the place gives you an insight into its rich cultural past through some of its wonderful tourist destinations. Swami Vivekananda Airport, Raipur is the nearest airport about 214.6 km away and is connected to all the major domestic terminals. Rourkela railway station (ROU) in the city is connected to most of the cities in India. Take an auto, cab or a bus from the station to any part of the city. Odisha State Road Transport Corporation (OSRTC) runs interstate, inter and intra city buses regularly from Rourkela. Buses run regularly to and fro all cities of Odisha and also from the neighbouring states of West Bengal, Chattisgarh and Jharkhand. Famous for: Heritage, Temples, Beach. Major Attraction: Konark Sun Temple. Nearby Places: Puri, Cuttack, Bhubneshwar. It is natural that your mind races to Sun Temple when you think of Konark. The 13th century temple stands tall in the minds of tourists in spite of the fact that it is now in ruins. Konark has a few other ancient temples on its land for both history lovers and religious minds. Biju Patnaik International Airport is the nearest airport about 1 hr 38 min (72.5 km) away and is connected to all the major domestic terminals. Puri railway station (PURI) in the city is connected to most of the cities in India. Take an auto, cab or a bus from the station to Konark, 52 min (35.5 km) away. Odisha State Road Transport Corporation (OSRTC) runs interstate, inter and intra city buses regularly to Konark. NH 316 is the national highway. Along with Bhubaneshwar and Puri, Konark also lies on the Golden Quadrangle. Famous for: Industries, Ores, Hills. Major Attraction: Murga Mahadev Waterfalls. 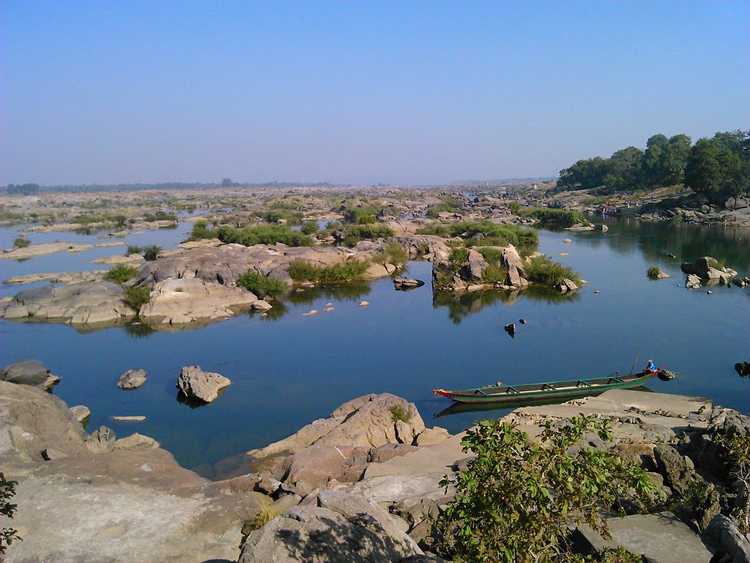 Located on Karo River banks and amidst lush green hills, Barbil has spectacular views to offer. It owns the credit of possessing the world’s 5th largest iron and manganese deposits. Keonjhar district, in which Barbil is situated, has a 38000 million year old rock, which is one of the oldest in the world. Birsa Munda Airport is the nearest airport about 5 h 19 min (220.9 km) away and is majorly connected to Bangalore, Kolkata and Delhi. Barbil railway station (BBN) in the city is connected to most of the cities in India. Take an auto, cab or a bus from the station to the city center. Odisha State Road Transport Corporation (OSRTC) runs interstate, inter and intra city buses regularly to Barbil. Famous for: Waterfalls, Forests, Architecture, History. Major Attractions: Deomali and Gupteswar Cave. 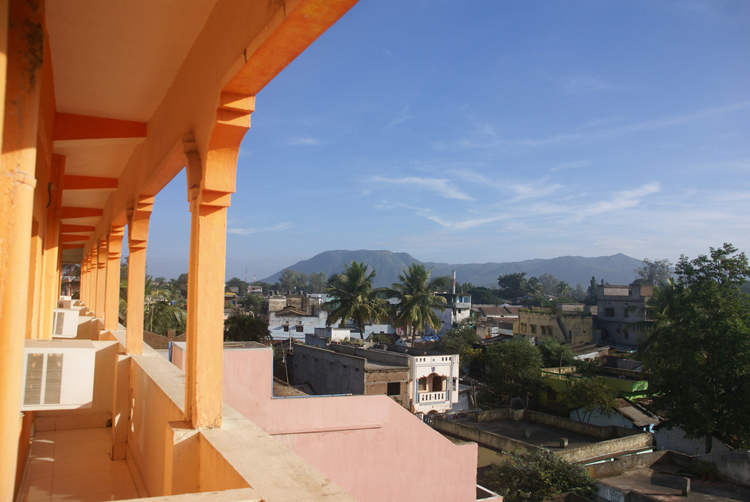 Jeypore is just the place to be if you would like to enjoy some of the best works of nature. This beautiful land is picturesquely set amidst hills. With scenic waterfalls and amazing natural parks, you are sure to love Jeypore, which has a rich history too. Jeypore Airport, the city’s domestic airport is only connected to Biju Patnaik International Airport through Air Odisha. The nearest major airport is Visakhapatnam International Airport, about 221 kms away. Jeypore Station (JYP) in the city is connected to all cities in Odisha and Andhra Pradesh. Take an auto, cab or a bus from the station to any part of the city. The nearest biggest railway station having the best connectivity is Visakhapatnam railway station (VSKP) about 221 kms away. Interstate, inter and intra city buses (both state and private) run regularly from Rourkela. Buses run regularly to and fro all cities of Odisha and also from the neighbouring states of Andhra Pradesh and Chhattisgarh. Famous for: Festivals, Temples, History. Nearby Places: Sambalpur, Balangir, Raipur. 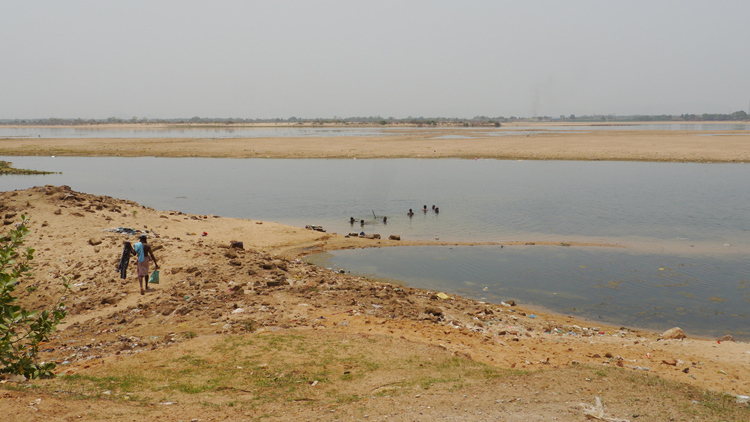 Located on the western border of the state, the place was earlier a part of Sambalpur. Though limited in number, the tourist attractions gain value by the importance attached to it. Gandhamardan, one of the destinations here is associated with the period of Ramayana and it finds mention in the notes of Hieun Tsang, the famous Chinese traveler. 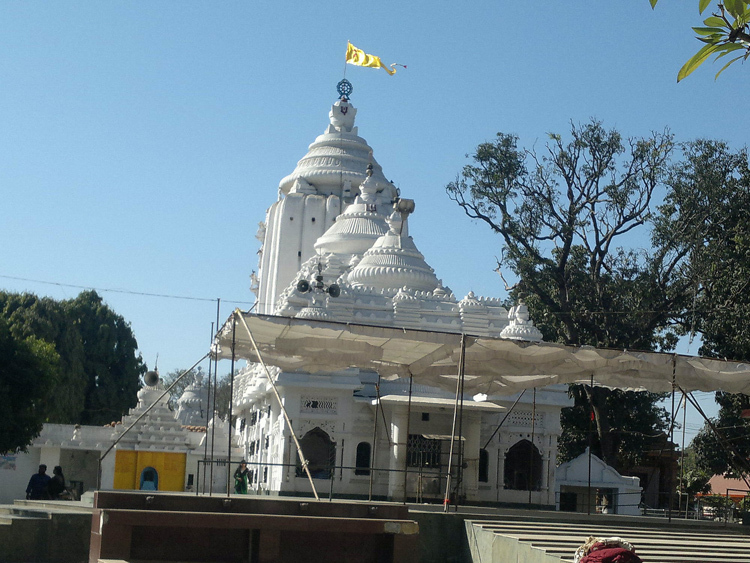 Scenic, ancient Bargarh makes your visit memorable. Swami Vivekananda Airport in Raipur is the closest airport and is connected to all the major domestic terminals. It is about 4 hr (217.1 km) away from Bargarh and a cab can be taken from the airport to the city via NH53. Bargarh Road Railway Station (BRGA) is the nearest railway station and is connected to all cities in Orissa and neighbouring states like Chattisgarh and West Bengal. Take an auto, cab or a bus from the station to any part of the city. Bargarh is in the reachable vicinity of four state capitals (Bhubaneshwar, Ranchi, Kolkata and Raipur) and therefore is well connected through road. NH6 passes through Bargarh. Famous for: Sea Port, Beaches. Major Attraction: Bay of Bengal. Nearby Places: Bhubneshwar, Cuttack, Puri. About ParadeepLocation of Paradeep or Paradip, as it is also called, is in itself beautiful. In the confluence of river Mahanadi and Bay of Bengal, the land stuns you with its amazing views. Be it the sunrise or the sunset, you would not want to miss a moment of it. Biju Patnaik International Airport in the city is connected to all the major domestic terminals and some international terminals. It is about three hours away from Paradip ; Take a cab from the airport to the city. Paradeep railway station (PRDP) is the nearest railway station and is majorly connected to all parts of Orissa and also to Vishakhapatnam. Take an auto, cab or a bus from the station to any part of the city. The nearest railway station with the best connectivity is Bhubaneswar railway station (BBS) about three hours away. Odisha State Road Transport Corporation (OSRTC) runs interstate, inter and intra city buses regularly from Paradeep, as it is a major seaport on the east coast.. Buses run regularly to and fro all cities of Odisha and also from the neighbouring states of West Bengal, Chattisgarh, Andhra Pradesh and Jharkhand. Though Orissa has acquired a modern face to it, the land has retained its ancient charm. A visit to the place makes you feel a part of the world of the bygone era. You cannot possibly hope to cover all the tourist destinations in one go, but knowing more about them would ensure that you visit them during your subsequent tour to the land. So am I, looking for more of Orissa; every tourist spot you could suggest is welcome. Odisha is the best place to visit. No need to search for any tour and travels come to bhubaneswar and hire a taxi he will take you the respective placed and on that spot you will find the guides in very nominal price.or just contact otdc they will help you. I am from Jeypore. You simply need to take a train or bus from Bhubaneswar to reach here. Jeypore is an overnight journey from the capital. It is full of tribals and wonderful waterfalls. I am sure you will definitely love it. Plan anytime, but winter is the best time to travel. I just want a trip to Odisha as it will be wonderful! You can go to Bhubaneswar directly and from there you can find tourist bus to go to any place. Book your bus in indigo to Bhubaneswar airport (BBI). Berhampur should have been added as one of the top places to visit in Odisha. There is the unpolluted and serene Gopalpur and Sunapur sea beaches. The Taptapani hot water springs. The Ashokan rock edict at Jaugada. The temples of Tara Tarini, Bhairavi, Narayani, and Kanaka Durga (Athagada). Biranchi Narayan Temple at Buguda, dedicated to the Sun god, having beautiful wood carvings. Bhubaneswar directly and from there you can find tourist bus to go to any place. Book your bus in indigo to Bhubaneswar airport. thanks very informative i am from mysore and bringing students next month please tell us important places to be covered in 4 days. I don’t think Orissa has much to offer for tourism, apart from temples. No good hotels, resorts and nothing of international class. Mr. dipankar kaul u r unfit for international heritage first visit and then judge. odisha is far better than ur thinking and ur class. Kaul i think you are just biased if you cant appreciate the rich heritage culture and colorful traditions of Orissa.It is one of the most most peaceful states of India and living there is absolute bliss. I am not sure where you come from but atleast if you are a true blood Hindu you should also take note of the fact that our temples have survived 11 Islamic invasions and yet they are standing today. Narrow minded people like you do not deserve to be tourists at all. You are wrong brother odisha have lot of stuffs to do and most important thing is there are lot of Luxurious hotels in odisha too. Have you ever been to Odisha? I have been to all states of India (except Nagaland). Odisha is in no way backwards. Its definitely the city of temples but there are many scenic places as well. Be it wildlife sanctuary of Simplipal or Marine drive of Konark… or waterfalls in Sambalpur or Daringibadi.. or a jungle ride in Koraput.. or the amazing Chandipur beach.. If you have the zeal to roam about, you wouldn’t be searching for “hotels”. A simple camp would suffice. Also if you can’t appreciate someones culture better keep your mouth shut. Don’t be so naive. one place is missing from the list I guess. 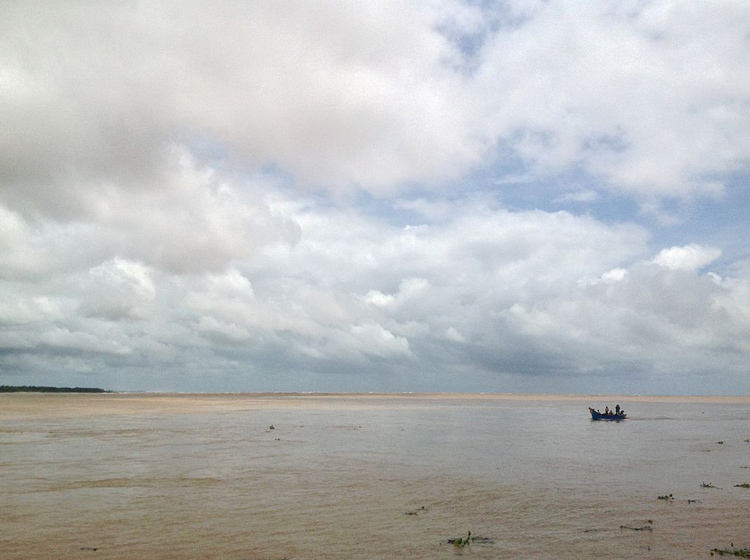 Chandipur its a unique beach one have ever visited . specialities of that beach is water recedes from 1 to 4 kilometers during the ebb tide. I think, you should have enlisted at least Gopalpur and Chandipur which are much more sought after tourist spots than, say, Paradip, Barbil etc. Odisha is a nice place for visit as well as for stay. I enjoyed very much by visiting Jeypore and Bhubaneswar. This region encompasses a lot of natural beauty. You should also list the following places: Gopalpur, Chandipur, Baripada, Ambika temle and Shimilipal. Posted Photos are excellent. Expected one of Barbil. Thank You Rohit. Want to visit odhisa for 3 to 4 days…can any one suggest the itinerary to cover most of the places in the time.where to land first then make multiple trip or land at one place then continue the tour by staying on the way then return to puri or bhubaneahwar. Beautiful places like Daringibadi(Kandhamal) , Devkund(Maurbhanj) , Siali beach(Jagatsinghpur) etc. you should go bhitara kanika sanctuary at located in kendrapara district. The name of Berhampur now Brahmapur should have been included. The tourist places in and around Berhampur are next to those of Puri & Bhubaneswar. Unfortunately they are not included due to regionalism and step motherly attitude of some editor. I am planning to visit Orissa in December this year. Is there any lace with snow? I love the nature.. want to do hiking, camping and wild life.. any suggestions. Odisha is a most beautiful place in India. 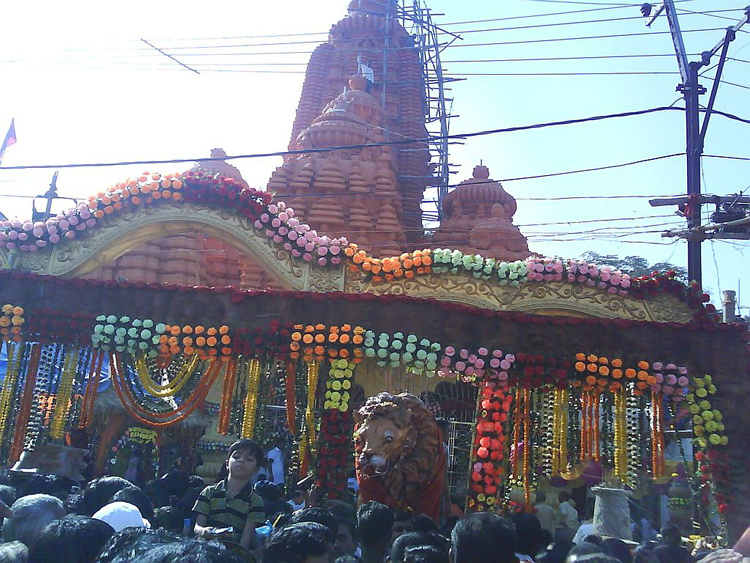 I plan to visit Puri at the end of January what it’s a best time to visit the Puri and near places. I too wish to visit Odisha as I heard it’s full of beautiful nature and I am nature lover. Vitarakanika is not situated at Cuttack, it is situated at Kendrapara. At Kendrapara, there are so many places to visit like Vitarkanika, Baladevjiu temple etc..